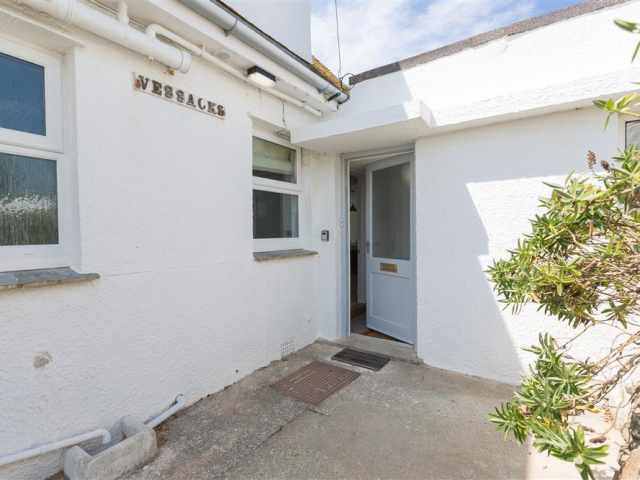 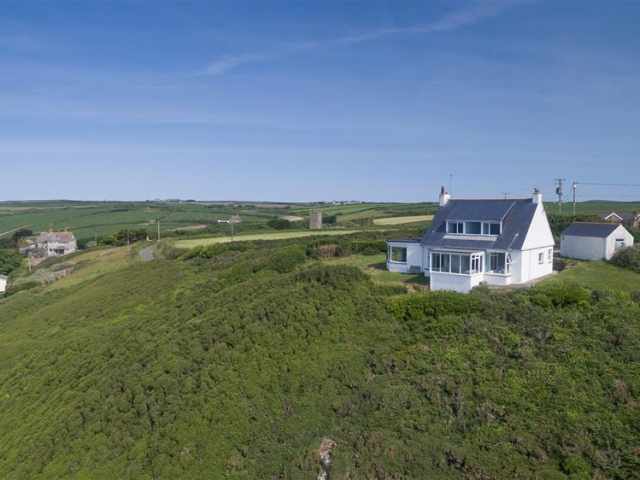 With panoramic views of the sea and stunning coastline, Vessacks is situated high above the Atlantic Ocean on the South West Coast Path within walking distance to the sandy beaches of Porthcurno and Porthchapel and the world famous Minack Theatre in the far west of Cornwall. 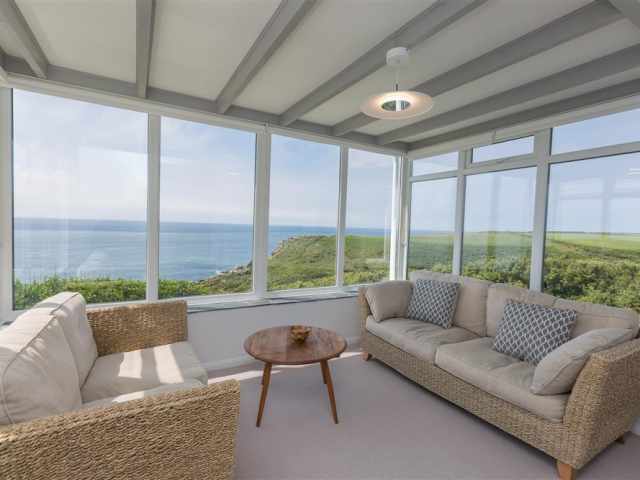 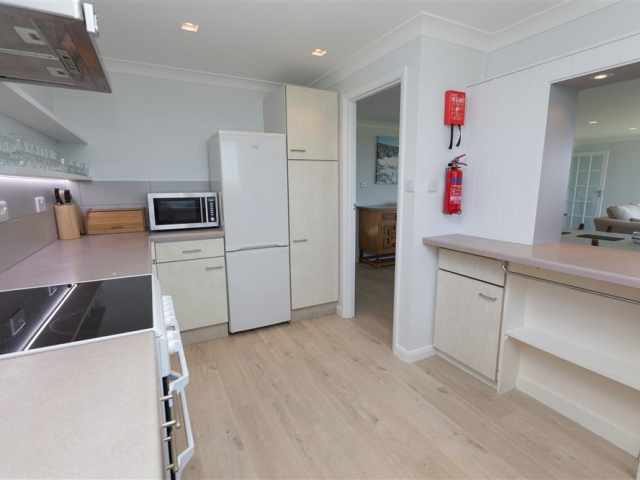 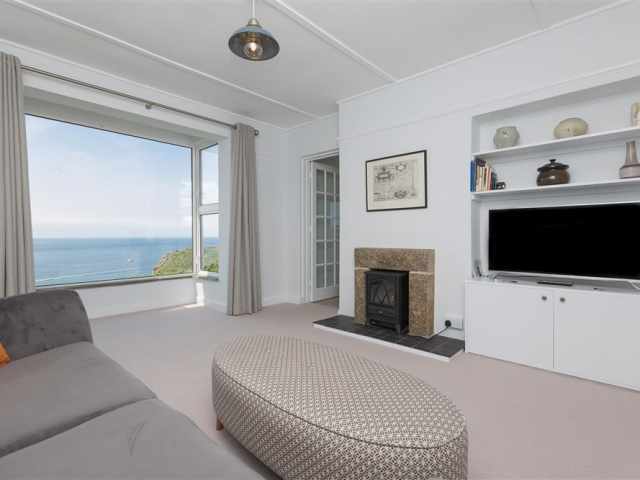 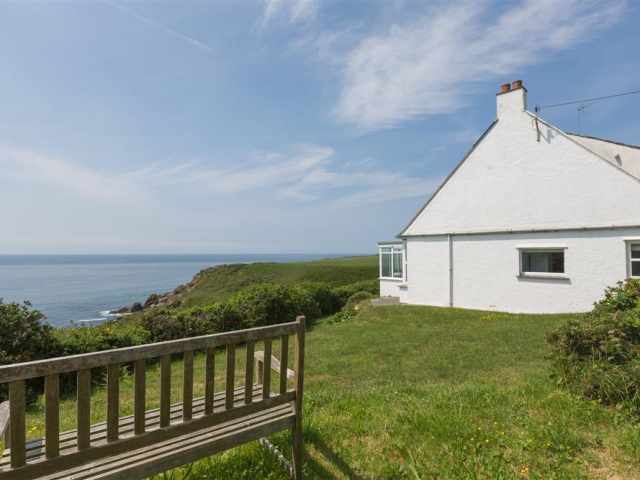 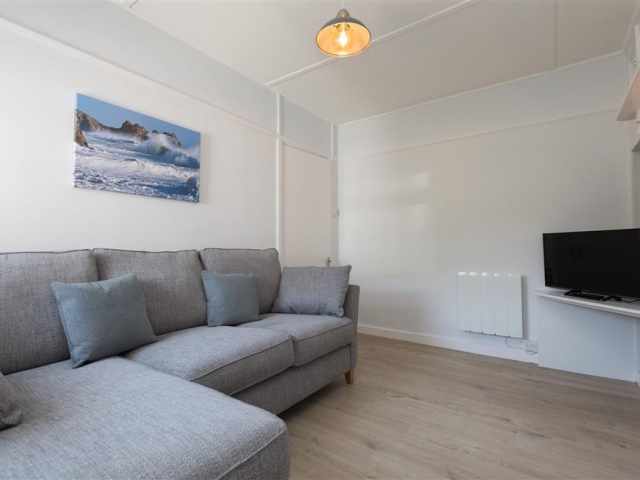 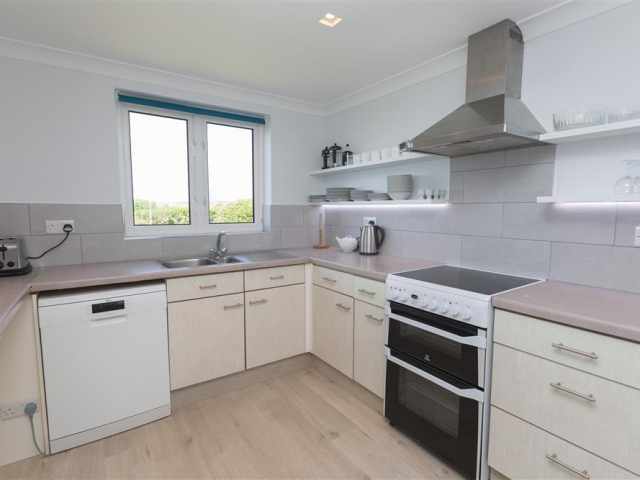 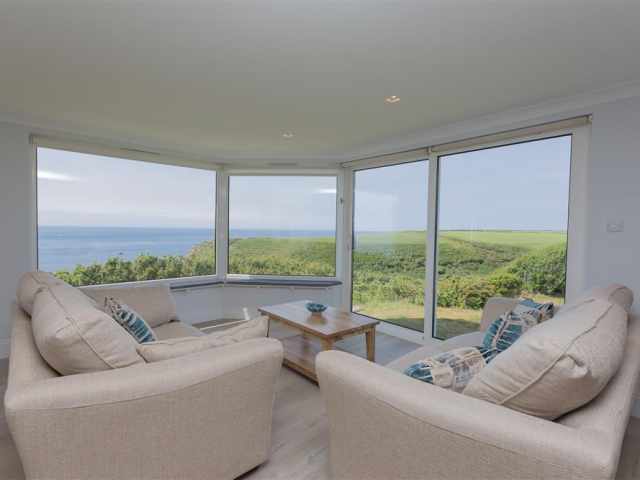 This freshly renovated, detached and double glazed house with central heating provides elegant and spacious accommodation for parties of up to 8 wishing to enjoy the spectacular coastal scenery and an unparalleled location. 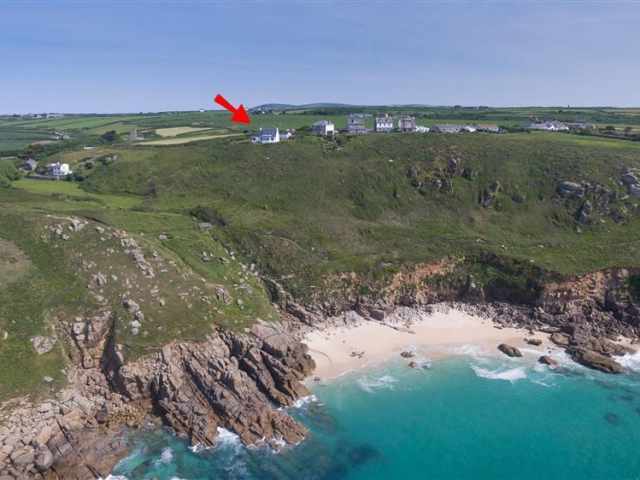 Porthcurno's fascinating Telegraph Museum, the 12th century St Levan church, and a seasonal cafe and pub are all within walking distance down the hill. 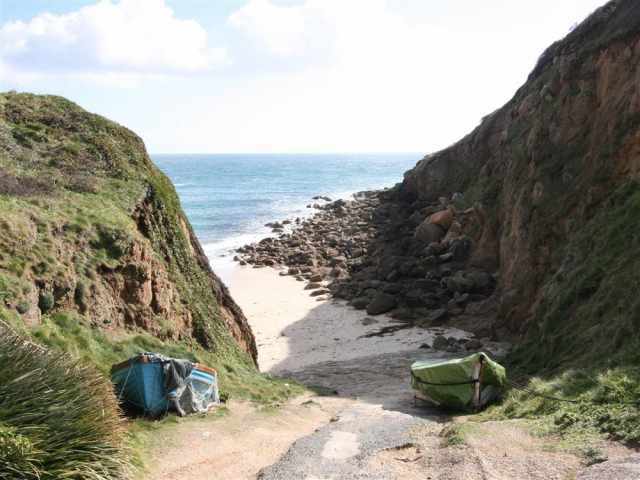 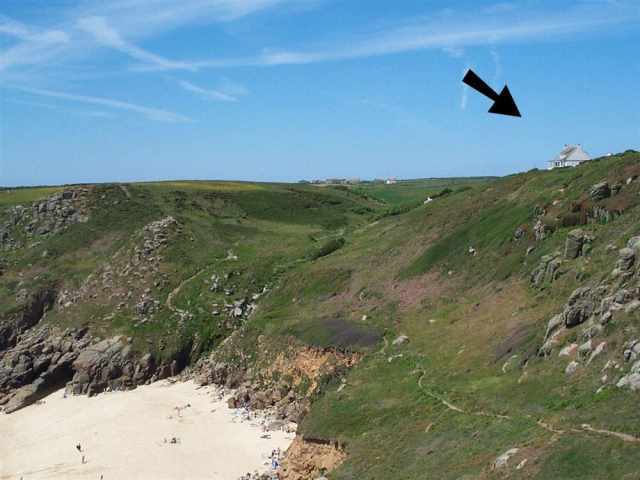 Porthcurno beach and the beautiful neighbouring cove of Porthgwarra actually feature in the TV adaption of Poldark. 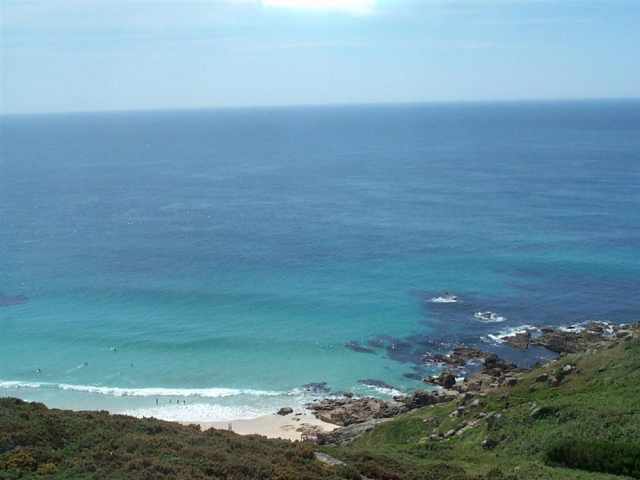 West Penwith is home to many ancient stone circles and other important prehistoric sites. 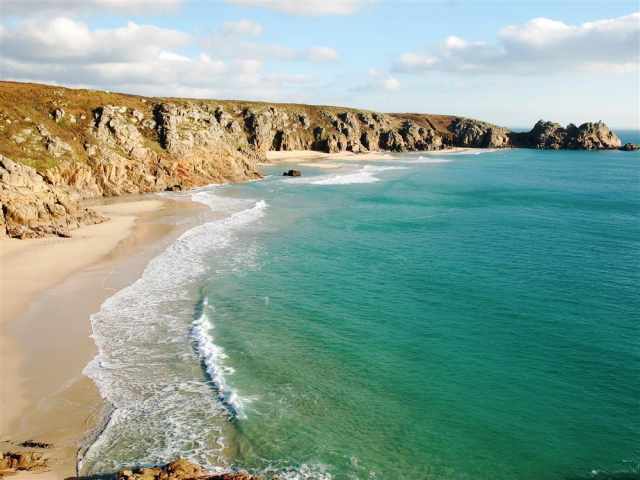 On clear nights the moon lights up the ocean, while the Milky Way glitters above. 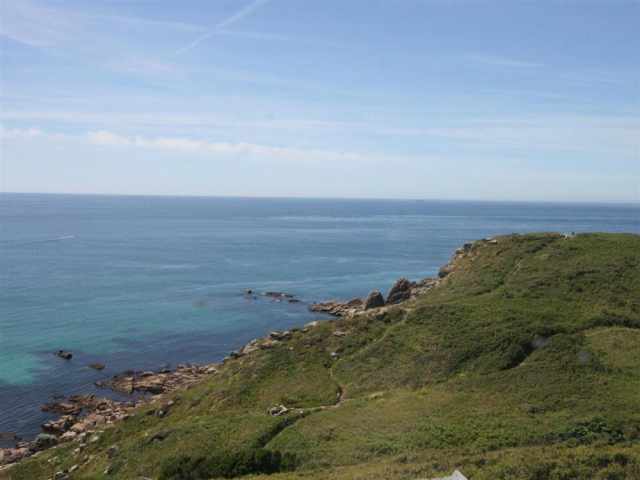 Five distant lighthouses wink to each other, from Land's End to the Lizard. 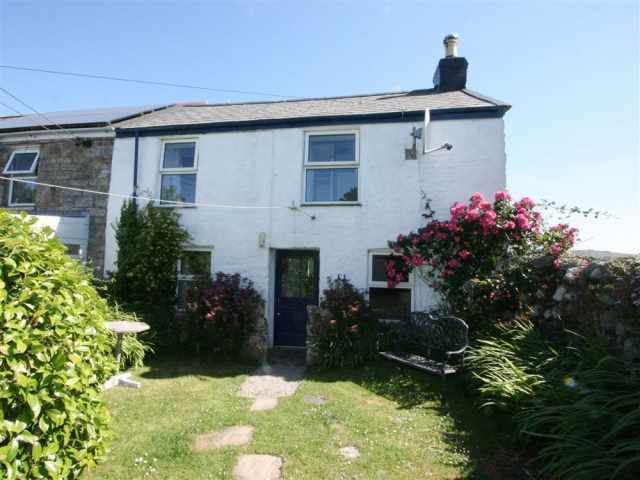 Penzance, 10 miles, has a wide selection of shops and eateries. 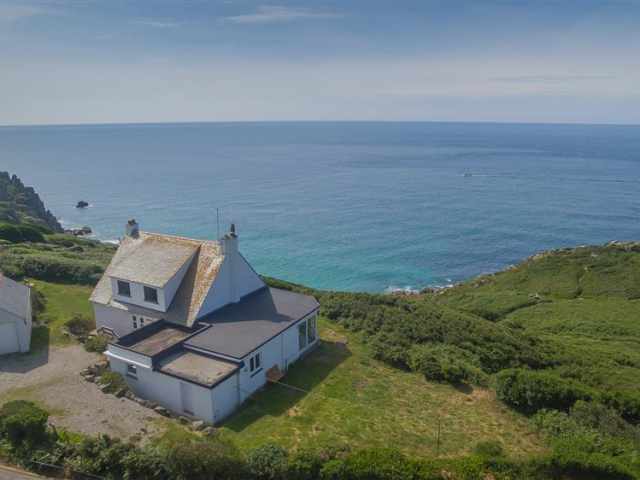 St Michael's Mount, Mousehole, Sennen and Land's End are all within a 20 minute drive, the latter providing a gateway for a day trip to the Isles of Scilly by air. 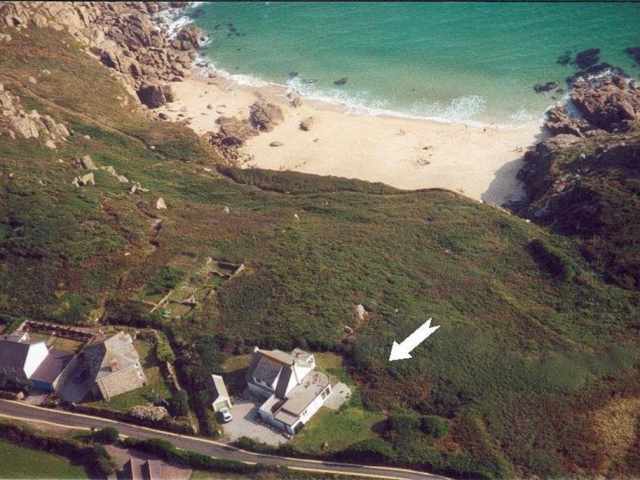 Vessacks has on-site parking for 3 cars. 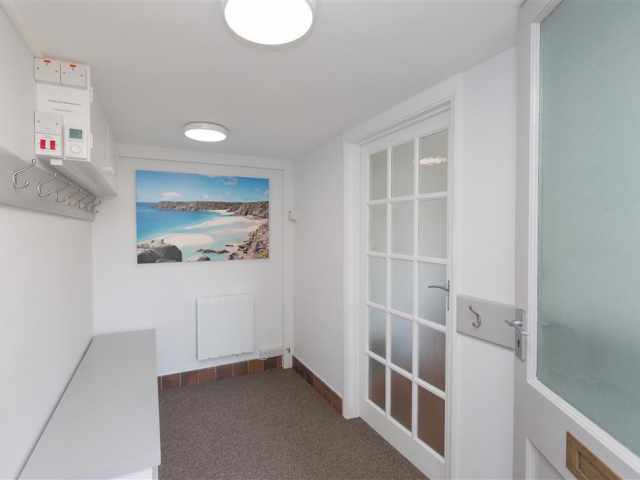 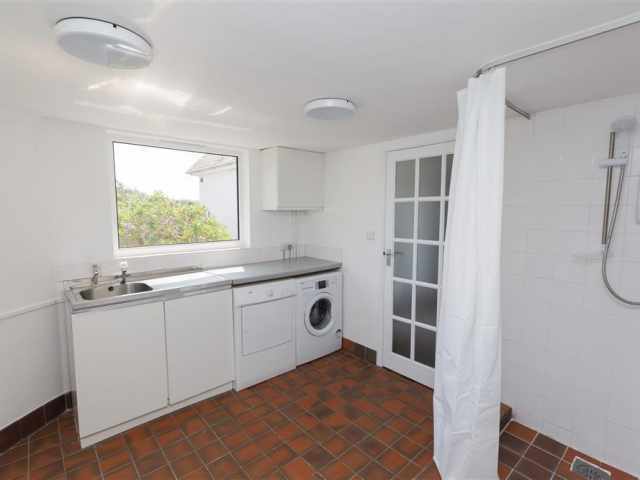 Half a dozen railed steps lead down to the front door, opening to an entrance lobby with built-in shoe racks and an adjacent utility room with laundry facilities, wetsuit rail and a handy shower for rinsing off salt and sand after returning from the beach. 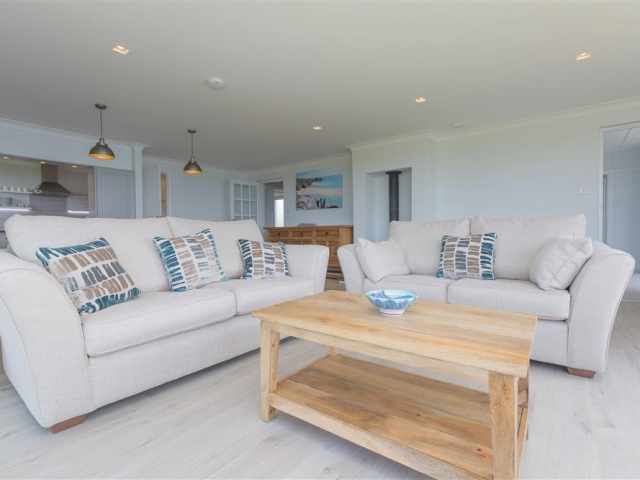 One step leads up to a cosy snug with corner sofa, a TV room with an electric fire in the hearth and stunning sea views, and a south facing sun room which provides a spectacular vantage point for watching sea birds, fishing craft, seals and sometimes porpoises and dolphins. 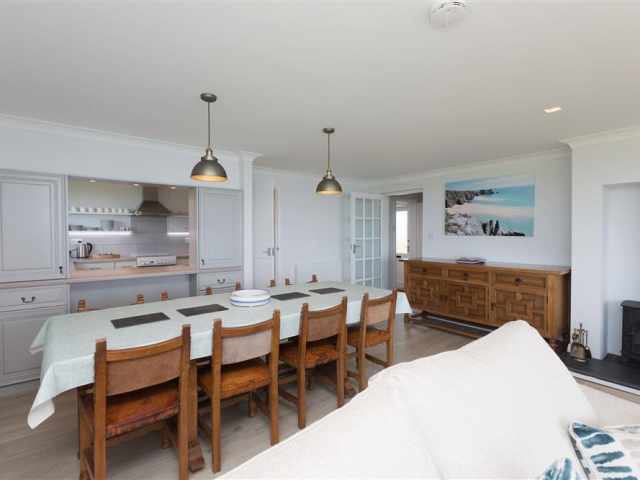 The jewel of the home is a spacious open-plan living room with wood burning stove, two comfortable settees arranged before picture windows, a sliding door to the garden, and a refectory dining table and chairs set next to a large hatchway which separates the fitted kitchen that shares the same views. 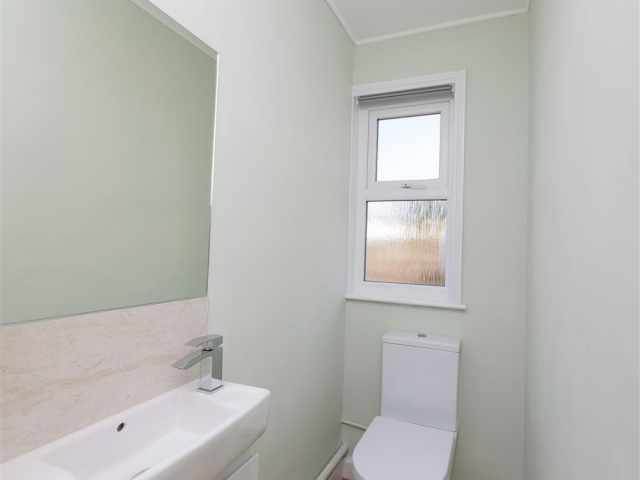 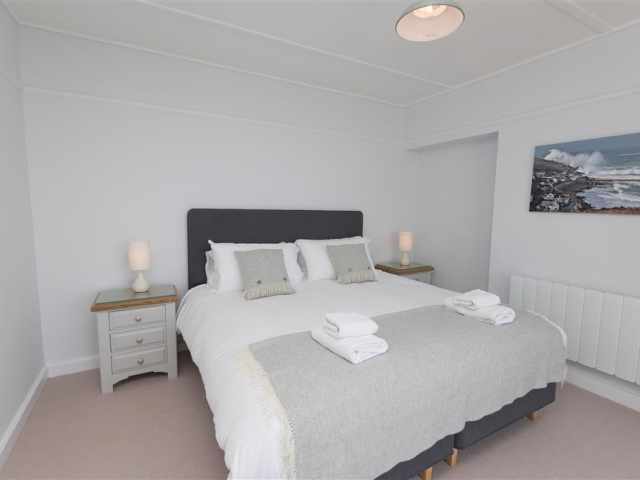 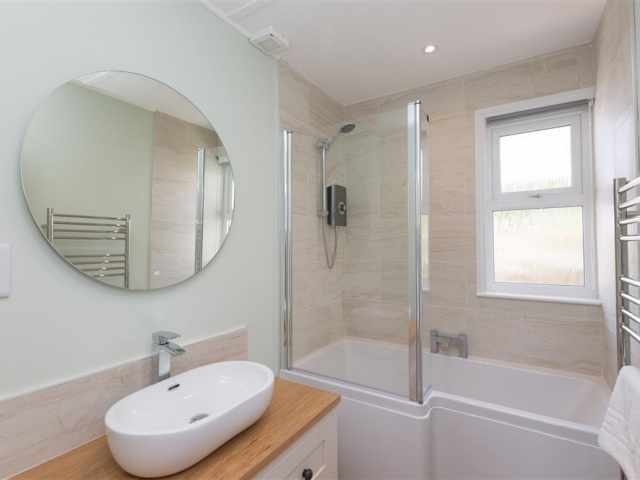 The ground floor also has a modern bathroom with vanity basin, heated towel rail and shower over the bath, an adjacent cloakroom W.C. with hand basin, and two carpeted bedrooms furnished in a contemporary style. 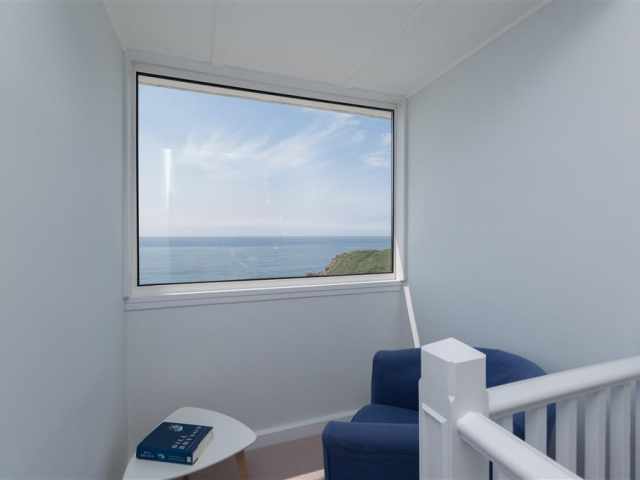 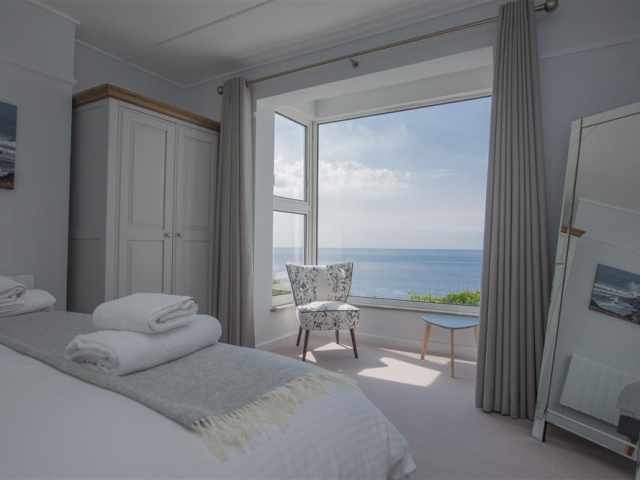 Enjoying glorious sea views; the master bedroom has a 6ft super-king bed and an easy chair in the bay window and the second bedroom has two single beds. 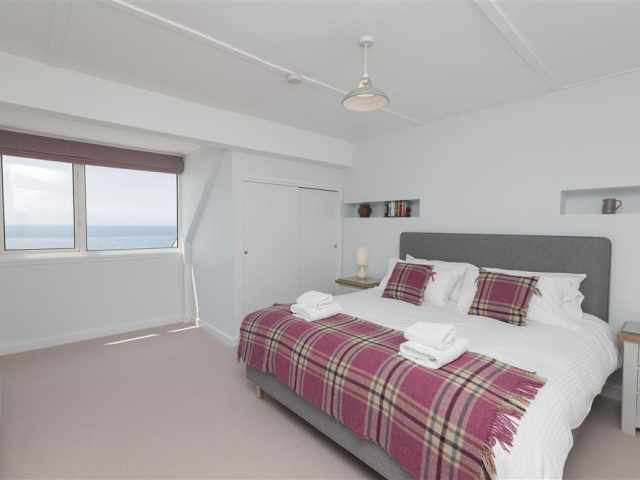 A carpeted staircase leads to the first floor landing with one of the best views in Cornwall and two spacious bedrooms with breath-taking sea views from dormer windows, built in wardrobes and a 6ft super-king and twin beds respectively. 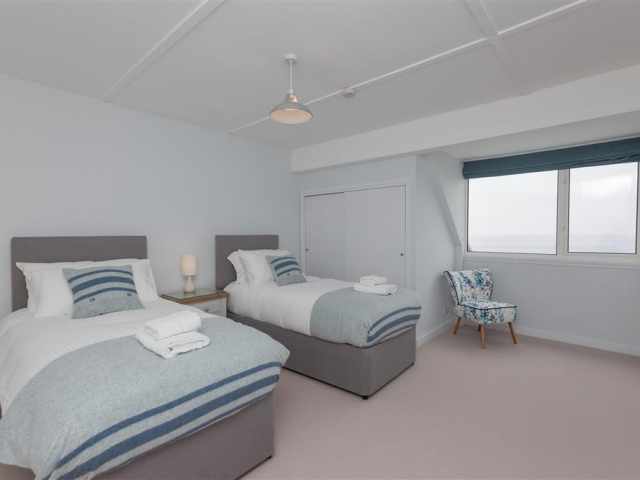 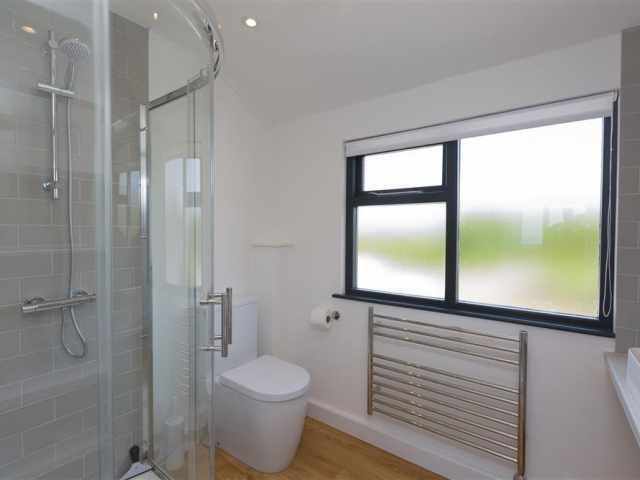 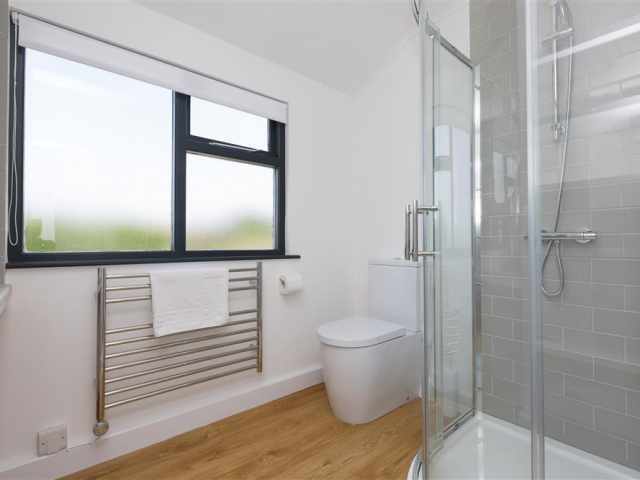 Each bedroom has its own en-suite shower room W.C. with vanity basin and heated towel rail. 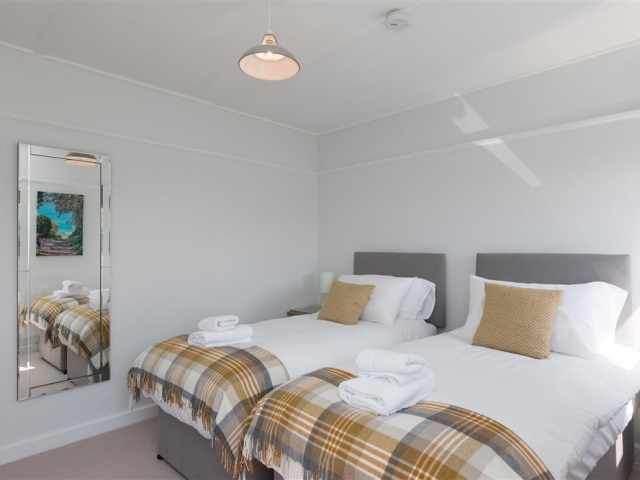 Guests will enjoy the comforts of Hypnos beds, beautiful soft furnishings with artwork by local photographer John Chappell www.chappellphotography.co.uk, and modern electric radiators throughout. 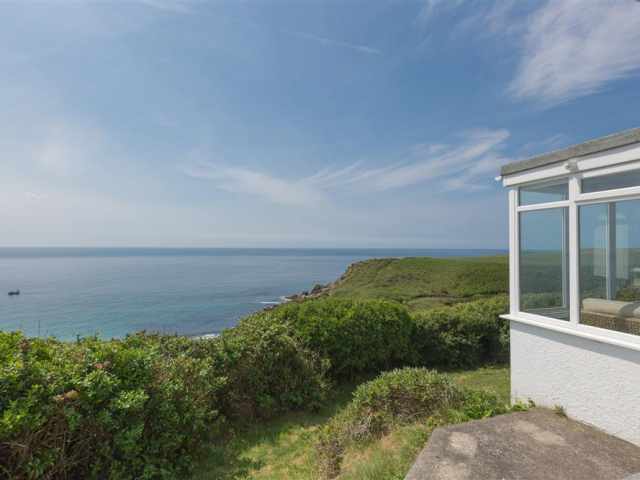 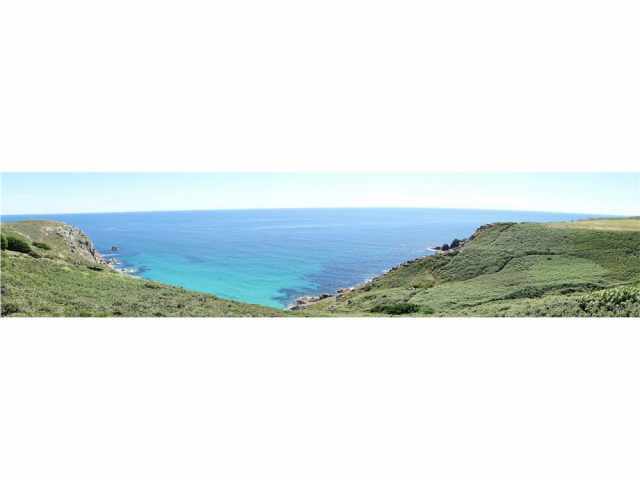 The unfenced garden which surrounds the property has sloping lawns and provides a wonderful place to admire the dramatic headlands and seascapes, however it is unsuitable for children under 5.